Pumpkin is one of our favorite fall ingredients because it is so versatile. It can be added to just about anything – and during the holiday season it seems like we do just that -we add it to soups, sauces, salads (pumpkin seeds) pasta and most importantly, baked goods! 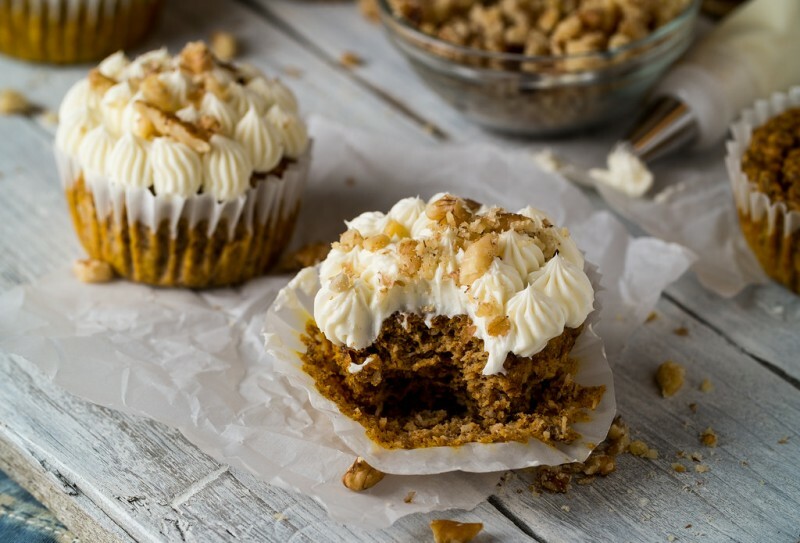 Pumpkin is a great addition to baked goods because it can be a healthy substitute for eggs and oil. Pumpkin is rich in dietary fiber so it will keep you full longer. Also, it’s brilliant orange color indicates that it has beta-carotene which converts to Vitamin A in the body which not only helps your vision, but boosts your immune system too and helps fight bacterial infections. Today we wanted to share with you our gluten-free pumpkin muffin recipe that is a client favorite! You can make these for breakfast as is or for dessert and add a little cream cheese frosting to make it even sweeter! Grease a 12-cup muffin pan and preheat the oven to 375. Whisk together the eggs, molasses and pumpkin puree. Set aside. Whisk together the gluten-free flour, sugar, baking powder, xantham gum, salt and pumpkin pie spice. Add the room-temperature butter, mixing with an electric mixer until evenly crumbled. The mixture should look like coarse sand. Add the egg mixture a bit at a tie, beating well with electric mixer after each addition. Beat for 1-2 minutes until mixture is fluffy. Scoop the batter into the prepared pan until cups are full. Let the muffins rest for 10 minutes. Bake the muffins for 22-25 minutes until the middle springs back when lightly touched. Remove from oven and let rest for 5 minutes before removing from muffin pan. Making your own pumpkin spice is easy and cost effective if you have the ingredients above on hand!